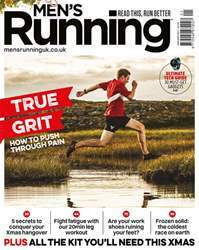 Digital Subscriptions > Men's Running > Jan-17 > CAN YOU TRY HARDER? We all think we’re giving 100% in races. But watching some elite athletes, their faces contorted in late-race agony, I can’t help but ask myself: how hard am I really trying?